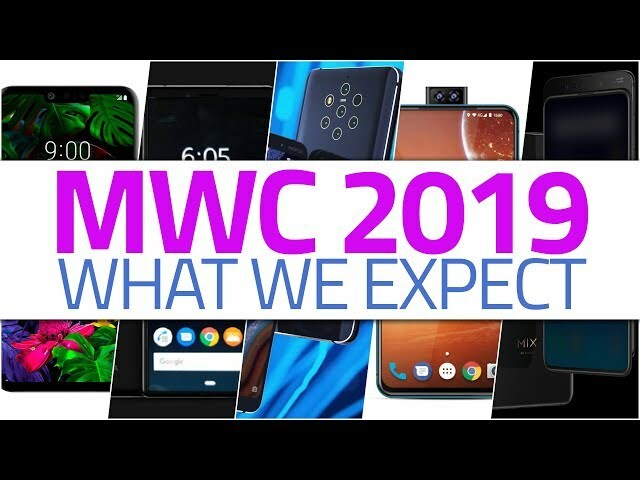 LG is set to reveal as many as three smartphones in the mid-range segment at MWC 2019. The company looks to launch the LG Q60, LG K50, and LG K40 phones in Barcelona, and display them in its experience zone at MWC this year. The LG Q60 is the most premium of the lot and is seen sporting a triple rear camera setup, a rear fingerprint sensor, a glossy back panel, and a waterdrop-shaped notch up front. The LG K40, on the other hand, is the most budget offering of the lot, with a single rear camera and a traditional top and bottom chin-bearing display. The company is also set to launch the LG G8 ThinQ and the LG V50 ThinQ 5G smartphones at MWC as well. While the three phones will be on display at MWC, LG will announce the individual LG Q60, LG K50, and LG K40 pricing and availability details in different regions at a later date. The company confirms that all the three devices come with AI functions like AI Cam that recognises objects and recommends the ideal shooting mode for the best results. There’s also a dedicated button to trigger Google Assistant on all the three phones, and DTS:X 3D Surround Sound support. The LG Q60 features a 6.26-inch HD+ FUllVision Display with 19:9 aspect ratio and a waterdrop notch. The phone is powered by an unspecified octa-core processor paired with 3GB RAM. Internal storage is at 64GB with the option to expand further using a microSD card (up to 2TB). LG Q60 features a triple camera setup with one 16-megapixel sensor with PDAF, another 2-megapixel depth sensor, and a last 5-megapixel super wide angle sensor as well. Up front, there is a 13-megapixel selfie sensor as well. The phone packs a 3,500mAh battery and measures 161.3x77x8.7mm. The phone is MIL-STD 810G compliant, and supports a rear fingerprint sensor. The LG K50 features a 6.26-inch HD+ FullVision Display with 19:9 aspect ratio and a waterdrop notch. The phone is powered by a 2.0GHz octa-core processor paired with 3GB RAM. Internal storage is at 32GB with the option to expand further using a microSD card (up to 2TB). LG K50 comes with a dual rear camera setup with one 13-megapixel sensor with PDAF and a 2-megapixel depth sensor as well. There’s also a 13-megapixel selfie sensor on the phone, and it also packs a 3,500mAh battery. The LG K50 also measures the same as the LG Q60 at 161.3 x 77 x 8.7mm, is MIL-STD 810G compliant and supports a rear fingerprint sensor. The LG K40 features a 5.7-inch HD+ FullVision Display with 18:9 aspect ratio. It is powered by a 2.0GHz octa-core processor paired with 2GB RAM. Internal storage is at 32GB with the option to expand memory (up to 2TB). The phone sports a single 16-megapixel rear camera with PDAF and an 8-megapixel selfie sensor with LED flash support. The LG K40 packs a 3,000mAh battery, measures 153.0×71.9×8.3mm, is MIL-STD 810G compliant, and supports a fingerprint sensor.